The 30-year partnership behind one of the city’s top investment-sales firms is devolving into a nasty court battle. Besen & Associates founder Michael Besen is accusing his business partner Amit Doshi of setting up a secret “Doshi Account” he allegedly used to siphon off nearly $1.5 million in company money for personal investments, according to a civil complaint filed in Manhattan Supreme Court on Monday. Besen’s lawsuit claims Doshi also “engag[ed] in outright war” on an investment property the two co-own in Jackson Heights and drove talented brokers away from the company. Doshi declined to comment when reached Monday afternoon. Besen filed a court summons last week seeking injunctive relief and up to $10 million in damages, as TRD reported. The brief notice accused Doshi of breaching his fiduciary agreement at Besen & Associates and several investment properties the two own together. But the new filing from Monday goes into greater detail about those alleged breaches. Besen claims company accountants discovered that Doshi had wired $1.45 million in two separate transfers to a secret account he set up to so that its financial statements would be sent to his home on Long Island, in order to conceal it from the company. Besen accuses Doshi of “attempting to steal” the Jackson Heights property by setting up a shell company to secretly buy the mortgage and then filing a foreclosure notice – all while defending the partnership that owns the building on the other side. Besen also alleges that roughly 20 key brokers have left the firm over the years because they couldn’t get equity stakes and other incentives due to Doshi taking their clients and cutting them out of deals. The partners have equal 50 percent ownership stakes in the company, according to Besen’s lawsuit. 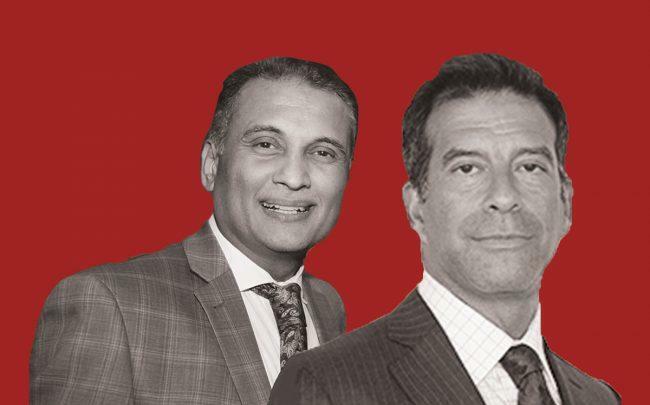 Besen has taken the lead in opening other lines of business for the company, while Doshi has focused more on the brokerage side of the business. Besen & Associates took the number nine spot on TRD’s latest annual investment sales firm ranking, with a total of $631.1 million in deals in 2017.